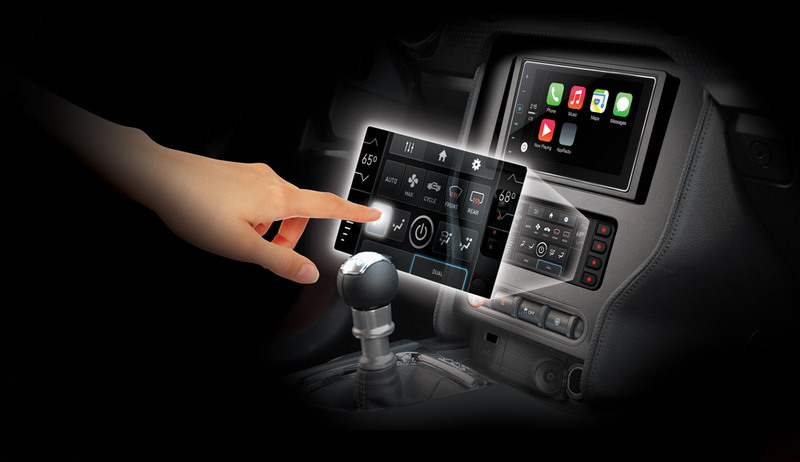 Once again, Metra has created the industry standard for integration of an aftermarket radio into a vehicle. 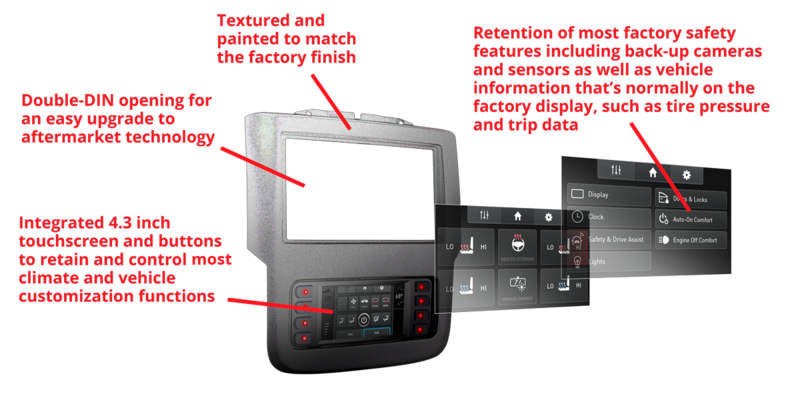 By using Metra’s patented Auto-Detect protocol and the patent pending design for a touchscreen based vehicle interface, these new kits will lead the industry into the future. These TurboTouch kits will display the vehicles CAN-BUS information on Metra’s custom designed touchscreen and user interface. The touchscreen will provide factory HVAC control and personalization setting controls while maintaining steering wheel control functionality. The color on the 8 backlit hard button’s can be changed to over 250 different color options. These TurboTouch kits come complete with everything needed to install an aftermarket radio. They are painted to match the factory look of the dash and are engineered, designed and proudly built in the USA! No flipping dip-switches or buttons to program — Smart interfaces automatically configure to your vehicle! Integrated 4.3 inch touchscreen and buttons will retain and control most climate and vehicle customizations. *See up to date vehicle specific information for each kit at MetraOnline.com. Interested in TurboTouch? Submit the form below and we'll be in touch on how you can become a Metra Dealer. If you're an existing Metra Dealer, submit the form below and we'll let you know when this product is available for shipping.